B-12 19K-4P0 - Dust Bag Fitting (rubber). B-40 23K-4P0K - Dust Bag Holder. B-41 46H-4P0 - Spring (dust Bag Holder). E-56 57S-4R0 - Belt Cover (metal),. B-23 46N-4P0K - Cord Rewind Button. B-34 71N-4P0 - Spring (cord Rewind Button). B-9 AV3242619 - On/off Sub-switch . B-44 AH16829 - Blower Switch. B-54 39D-4P0K - Terminal Holder. A-16 29F-4P0 - Terminal Holder. A-18 28P-4P0 - Termlnal W/lead W Ire. A-19 AM-P34137 - Wire Connector (not Shown). B-1 60K-4P0JU - Dust Cover. B-2 25K-4P0J - Front Cover. B-18 17M--4P0J - Vac Gauge Cover. B-31 48N-4P0J - Brake Cover. B-42 29L-4P0K - Blower Cover. B-43 33L-4P0 - Spring (blower Cover). A-17 48H-4P0J - Connection Cover. E-1 24H-4R0K - Power Head Cover. E-5 18061 - Filter (upper). E-20 37K-4P0 - Filter (front). E-60 PASXWG6 - Washer . E-25 PASXTN3+8B - Screw (sensor). B-3 XTN35+12B - Screw (connection Upper). B-33 XTN3+12B - Screw (ornamental Plate). B-45 38N-4S0 - Screw (blower Switch). B-47 XLPM-C-4 - Push Nut. B-49 38N-740 - Screw (on/off Switch). A-23 XTN3516BFN - Screw (connection Cover). E-10 XPLM-C-4 - Push Nut. E-30 XYN-3+C-6FYS - Screw (partition Plate). B-6 75940 - Hose Fitting Rubber. A-12 23P-4P0J - Hose Holder. B-25 92A-4R0 - Ornamental Plate. E-28 93H-4R00U - Lamp Holder. D-3 73767 - Motor Support Rubber (front). E-45 60510 - Rockgrate 210 Oem 00. Please email For Price. 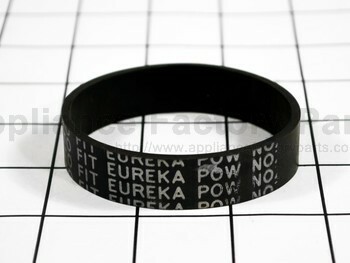 E-51 14F-4R0 - Motor Support Rubber (front). E-52 15F-4R0 - Motor Support Rubber (rear). F-4 20840 - Agitator/bearing Holder . E-59 71380 - Roller Shaft . B-4 60H-4P0K - Connection Upper. B-7 75935 - Connection Lower. B-8 39W--4P0 - Contact Base . B-11 45E-4P0K - Terminal Holder. B-35 71K-4P0 - Leaf Spring. E-13 34925 - Indicator Lever. E-15 72435 - Pedal Spacer. B-39 73K-4P0K - Dust Box Packing. B-48 93D-4P0R0 - Switch Indicator. B-53 31A-4P0K0 - Furniture Guard. B-55 77B-4P0K - Mounting Terminal Plate. B-56 66A-4P00U - Terminal W/lead Wire . C-3 94N-4P0 - Brake Lever. C-4 47N-B80 - Brake Spring. C-6 36050 - Body Partition. E-21 74060 - Furniture Guard. E-42 40S-4P0 - Nozzle Pipe. E-61 71020 - Brush For Acid Paste. Please email For Price. E-62 16C-4P0 - Roller Shaft (large Roller). E-65 74A-4P0 - Packing (rear). E-66 39A-4P0 - Packlng (side). E-67 19A-4P0 - Packing (front). F-9 57R-X60 - Agitator Shaft. F-12 P-84R-V10 - Agitator Cylinder. A-13 27H-4P0J - Connector Unit Body. A-14 10P-4P0J - Connection Button. A-20 29E-4P0 - Insulation Tube. A-25 50500 - Cking Gridchromesm Adj.. Please email For Price. A-31 54020 - Crevlce Tool. D-6 99G-4P0 - Noise Suppressor. B-64 11E-5H0 - Packing (upper Body). C-5 75685 - Contact Base Unit. E-11 93D-4Q0R - Switch Indicator. E-2 84H-4R0 - Reflector Plate (upper). E-4 86H-4R0 - Reflector Plate (lower). 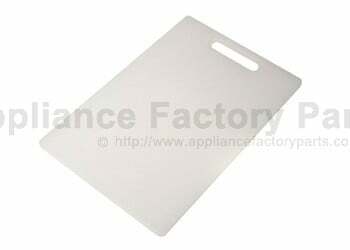 E-29 85H-4R0 - Partition Plate. E-23 98W--4R0 - Thermo Protector. E-24 19M--4R0 - Protector Support. E-33 70N-4R0 - Leaf Spring. E-37 72410 - Pipe Insert (left). E-57 72100 - Power Nozzle Lower. E-9 WPL34153 - Plug, Lid. Please email For Price. E-3 21H-4R0K - Window Cover.